These in person or online sessions are intended to bring a focus to an existing body of work or to make sense of the images that have been produced but there is confusion on what to do next. We will work on edit, sequence, and writing to create a concise portfolio, web presentation, or exhibition. This course is for students who would like to photographically explore the joys, sorrow, expectations, and demands of daily life including the intimacy of family, partnership, and personal identity. Through live group discussions and critique, each students’ creativity will be nurtured and a sustainable artistic practice will emerge. Ideas and images will be cultivated, and students will be encouraged to complete thoughts and dig deep. This class is open to photographers looking to build upon an existing body of work, but also to better understand, edit and sequence their existing images or give direction to their practice. Historical and contemporary art investigating the domestic space will be presented. Students may work using any camera format, and fine-art print production and modes of presentation are discussed. You wanted it, now you’ve got it! Women Picturing Revolution invites you to join us for a five week live online seminar that will survey photography and other lens based works from across the globe that examine conflict, crises, and revolution in private realms and public spaces. Throughout this course you will be inspired by visual storytellers who are retelling and reclaiming histories. This one of a kind journey combines our engaging seminar experiences into a five week class where together, we will build community and networks between those who believe in the power of images as a catalyst for transformation. The course will include an intimate conversation with Smita Sharma, an independent photojournalist whose work primarily focuses on gender, health, social and human rights issues. Her work has been published in various international publications including The Washington Post, The New York Times, BBC World, TIME Lightbox, Human Rights Watch among others. Oct. 27, 2018, 10:00 a.m. - 5:00 p.m. This one-day seminar surveys female photographers who have documented war, conflicts, crises, and revolution in private realms and public spaces. From fine art photography made as a personal response to forced silence, political oppression, and the inability to act, to well-known photojournalists documenting political and social upheavals, we will examine not only the photographs, but also the conditions under which women make images. From photojournalists Gerda Taro and Lynsey Addario to artist Miyako Ishiuchi, as well as international photographers lesser known to a Western audience, our examination of women who photograph war and revolution will reclaim and retell history that is both radical and necessary. In-class content will include photographic images, partial film screenings, review of related literature, a conversation with guest artists, and a look at how these contemporary image-makers are using social media. Participants will leave this class with a reference guide that will equip them with tools to better understand how women document resilience, resistance, and creative survival, in an effort to propel all of us towards progress. This course is for students who would like to photographically explore the joys, sorrow, expectations, and demands of domestic life including the intimacy of family, partnership, and personal identity. Through live group discussions and critique, each students’ creativity will be nurtured and a sustainable artistic practice will emerge. Ideas and images will be cultivated, and students will be encouraged to complete thoughts and dig deep. This class is open to photographers looking to build upon an existing body of work, but also to better understand, edit and sequence their existing images. Historical and contemporary art investigating the domestic space will be presented. Students may work using any camera format, and fine-art print production and modes of presentation are discussed. March 11th 2017 10:00 a.m. - 5:00 p.m.
A one day seminar that examines contemporary photography and the conditions under which women in and/or from Africa or the African Diaspora make images. From fine art photography made as a personal response to the legacy and locales of slavery, political oppression, and the inability to act, to well-known photojournalists documenting political and social upheavals, Women Picturing Revolution reclaims and retells history in a manner that is both radical and necessary. In-class content will include analysis of photographic work and projects, partial film screenings, review of related literature, conversations with guest artists, and a look at how contemporary image-makers are using social media. Participants will leave Women Picturing Revolution: Focus on Africa and the African Diaspora with a certificate showing their achievement upon completing the seminar. Participants will also leave with a reference guide equipping them with tools to better understand how women in and/or from Africa or the African Diaspora document resilience, resistance, and creative survival. Guest artists Nona Faustine and Ayana V. Jackson will be sharing their work in person. This seminar was co-created and will be taught by Zoraida Lopez-Diago and Lesly Deschler Canossi. January 25, 2017 - Mar 29, 2017 6:30 p.m. - 9:30 p.m. While motherhood has long been the subject of works of art, it is only more recently that mothers as artists have turned the camera on themselves and their domestic space. It is said that “anonymous was a woman,” but contemporary female artists exploring the nuances of the domestic space have shifted that role, and now hold power positions in the art world. This work has widened the representation of the female, specifically in her role as mother, beyond the stereotypical saint or sinner, and created a space for the exploration of the joys, sorrows, expectations, and demands of motherhood, marriage (partnership), and identity. Over this ten-week session, your creativity, ideas, and images will be nurtured and developed. You will be encouraged to complete thoughts and dig deep into the ideas you would like to explore—and no one will interrupt you when you are speaking. Through building relationships with other artists, weekly critiques, encouragement, and accountability, a sustainable artistic practice will emerge. Students may work in any format. This class is open to photographers looking to build upon an existing body of work or to better understand, edit, and sequence existing images. Historical and contemporary art investigating the domestic space will be presented. Fine art print production and modes of presentation will be discussed for future consideration. Sharing work via social media, opportunities for exhibition, and self-publishing will also be covered. November 16th, 2016, 7:00 p.m. - 9:00 p.m.
Against the backdrop of the ongoing chaos, women are documenting war, conflicts, crises, and revolution, in private realms and public spaces. This work includes fine art photography made as a personal response to forced silence, political oppression, and the inability to act to well known photojournalists documenting political and social upheavals. The Women Picturing Revolution panelists include award winning photojournalist and 2013 Recipient of the Maria Moors Cabot Award for Journalism Donna DeCesare, Documentary Photographer and mentor of the ground breaking educational initiative Arab Documentary Photographer Program (organized by the Magnum Foundation) Tanya Habjouqa and Artist, Smithsonian Artist Fellow and Founder of Labertino Projects Muriel Hasbun. In conversation we will examine not only photographs, but also the conditions by which women make images. In dialogue with photographers who engage these issues Women Picturing Revolution aims to reclaim and retell a history that is both radical and necessary. The panel will be moderated by Grace Aneiza Ali, 2014 Andy Warhol Foundation, Curatorial Fellow and Founder and Curatorial Director of OF NOTE magazine. The related course Women Picturing Revolution will take place on November 5th. Interview with Lesly and Zoraida on the inspiration behind Women Picturing Revolution on page 15 of the ICP, Fall 2016 Course Catalog which can be viewed and downloaded here. Nov 5, 2016, 10:00 a.m. - 5:00 p.m. This one-day seminar surveys female photographers who have documented war, conflicts, crises, and revolution in private realms and public spaces. From fine art photography made as a personal response to forced silence, political oppression, and the inability to act, to well-known photojournalists documenting political and social upheavals, we will examine not only the photographs, but also the conditions under which women make images. From photojournalists Gerda Taro and Lynsey Addario to artist Miyako Ishiuchi, as well as international photographers lesser known to a Western audience, our examination of women who photograph war and revolution will reclaim and retell history that is both radical and necessary. In-class content will include photographic images, partial film screenings, review of related literature, a conversation with guest artists, and a look at how these contemporary image-makers are using social media. Participants will leave this class with a reference guide that will equip them with tools to better understand how women document resilience, resistance, and creative survival, in an effort to propel all of us towards progress. This seminar was co-created and will be taught by Lesly Deschler-Canossi and Zoraida Lopez-Diago. 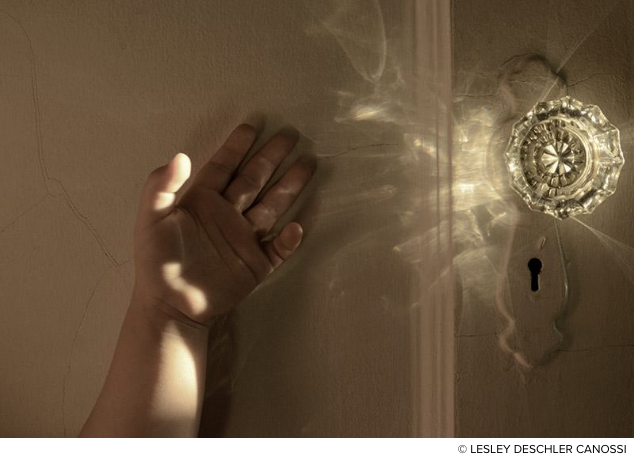 Lesly is a photographer, photo educator, and owner of Fiber Ink Studio, a pigment print and scanning studio in Beacon, New York. Her first book, Domestic Negotiations, was published with ICP EDU in 2014. Zoraida recently co-curated Women as Witness, an exhibition at TI Art Studios (Brooklyn, New York) about how women photograph community upheaval, and was the assistant curator of Picturing Black Girlhood, a photography exhibition at Columbia University/Raw Space presented in conjunction with Columbia University’s Black Girl Movement Conference. Her photographs documenting women in Colombia’s drug wars have been published in Of Note Magazine, the World Policy Journal, and El Tiempo. Oct. 22nd, 2016 10:00 a.m. - 5:00 p.m.
What makes a strong visual arts application portfolio? How do you present a portfolio? What gives you the best chance of being accepted in the opportunity of your choice? This two day workshop provides students with the knowledge to create an art portfolio that demonstrates creativity, ability, and commitment, while clearly expressing the individual artist's potential. Editing and sequencing of images, artist statements, and general submission guidelines (file formatting, supplemental materials, etc.) are covered. Each student is required to bring 30 to 50 images (prints, artwork, or digital) along with a draft of an artist statement for review and discussion. A guest artist reviews portfolio presentations at the end of the course. Students will leave with insider knowledge on what makes a successful portfolio, and a cohesive presentation of their work. Teen Academy Imagemakers enables 36 motivated high school juniors and seniors to advance their photography skills and develop an awareness of the creative and professional possibilities in the field. This yearlong, weekly program provides students with guidance from some of New York's best teaching artists; field trips to museums, galleries, and studios; college prep workshops; pre-professional assignments; mentorship opportunities in the field; and full access to ICP's facilities. The curriculum provides in-depth study of photography genres, including self-portraiture, documentary, photojournalism, personal vision, fashion, and studio work. All aspects of the curriculum are intended to encourage and inspire students to further express and strengthen their artistic voices. At the completion of the program, students will have created an extensive portfolio, including an artist's statement and resume, and are honored in a gallery exhibition. This program is best suited for students looking to pursue photography further in college and/or as a career. Interested students must submit a portfolio and written application. Prerequisite: Photo II as approved by Community Programs staff. See Lesly in the classroom for ICP in this lovely piece by CNN which celebrates analog film and its practitioners including the great Elliot Erwin. What Film Photography Still Has to Offer by Cubie King (2011).